​Synopsis: As the world wrestles with the sociological, biological, and theological meanings behind unexplained resurrections of the recently deceased, one Connecticut family learns that secrets cannot stay buried and that the ones you love may be the ones who eat you alive. Available for purchase: Samuel French (e-copy) and Amazon (in the collection Plays and Playwrights 2010). Monologues from this play are available from Applause Books (Best Contemporary Monologues for Women 18-35) and Smith & Kraus (The Best Women's Stage Monologues 2014). Any Day Now was also selected as one of four scripts to be workshopped and presented as part of ESPA Drills 2014 at Primary Stages. It included an extensive period of rewrites and feedback, culminating in an Off-Broadway-supported staged reading at The Duke Theater on August 19, 2014 with the following cast. The reading was directed by Moritz von Stuelpnagel. "The first act mostly feels neatly off-kilter, with the audience never quite sure whether to laugh or to gasp. Cassidy packages his supernatural theme with such naturalistic aplomb that he evokes David Lynch, particularly the very first episode of Twin Peaks, where you were trying to decipher the creator's intent while increasingly jaw-dropping weirdness unfolded uncontrollably before your eyes. ... Cassidy's direction is splendid, sustaining the heightened, off-balanced naturalism beautifully throughout. His cast of seven is superb ... Any Day Now is further evidence of Cassidy's talent and intelligence as playwright and director. ... It's a long evening, but one filled with surprises and rewards." "Any Day Now goes from being just an entertaining evening of theatre to...well, something GENIUS. Because you're being thrown for a loop from the moment the lights come up and are entertained for all three acts. A great play for a myriad of reasons ... one that is full of laughs in the right spots. Playwright/director Nat Cassidy does a wonderful job. ... The play delivers, with a surprising ending that holds the audience in the palm of its hand... Exceptional ... Keeps the audience fascinated for three hours. This is like Sam Shepard meets George Romero, with more emphasis on the former artist than the latter." "A vibrant drama, centering on a family whose patriarch returns from the dead during a pandemic of unexplained resurrections. The family members seek to both relate and deny the significance of their own ordinary problems — elderly dementia, closet homosexuality, alcoholism — to the global implications of the zombie appearances. A gritty family drama heightened by a clever allegory for larger social issues. ... The play's themes are compelling and clear." 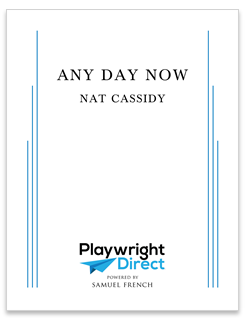 "Any Day Now, written and directed by Nat Cassidy, drew me on a cold and wet Saturday night in January. I don't often get to cover off/off Broadway, for there is something going on there almost daily and nightly, but I'm glad I came down to see this. ... Cassidy has a gift for dialogue and characterization. ... Not your usual run-of-the-mill family comedy (or drama, for that matter). ... Tight, suspenseful and scary." Check out Nat's critically-acclaimed and award-winning zombie apocalypse family drama, Any Day Now, available now FOR FREE on Samuel French's website! Click here to read more about the play which critics called "genius," "scary," "jaw-dropping," and "will haunt you for days to come." 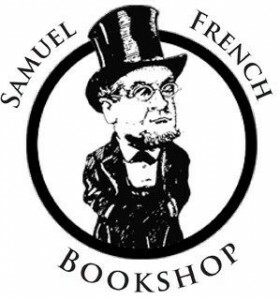 And if you HAVE read or seen Any Day Now, please consider giving it a rating and/or review on the Samuel French website! It can help greatly towards making another production happen!